The three meter long car is front wheel drive and supported by an aluminum-aloy chassis that supports up to 200 kilograms of cargo weight. It is powered by lithium-ion batteries and the controls are run by a software system. The car can reach up to 200 kilometers per hour and runs for 80 kilometers before it needs to be recharged. Recharging requires a simple, 13 amp house current and takes about 4 hours to be fully charged. If a stronger power source is available, the battery can be fully recharged in about an hour. During the test drive, the car reached 65 km per hour and was able to successfully climb a 55 degree incline. Before the vehicle is ready to hit the streets, several adjustments need to be made. It remains a bit jerky when gaining speed and the current prototype does not include a horn or power steering. Funding challenges led to a long stall between the initial concept design and making of the actual prototype. Mr. Paul Isaac Musasizi, the Project Manager of the Vehicle Design Mission at Makerere University, told the Daily Monitor, “It was not easy; all we had was faith and no money but luckily in December 2011, President Museveni gave us a grant and we immediately started the work. Getting people onto the project was not easy either.” Students faced a lot of bureaucratic hurdles in the process of buying certain parts. Lead project investigator, professor Sandy Tickodri-Togboa estimates the car will cost between $10,000 to $15,000 when produced commercially, about a third the cost of electric cars in the United States. 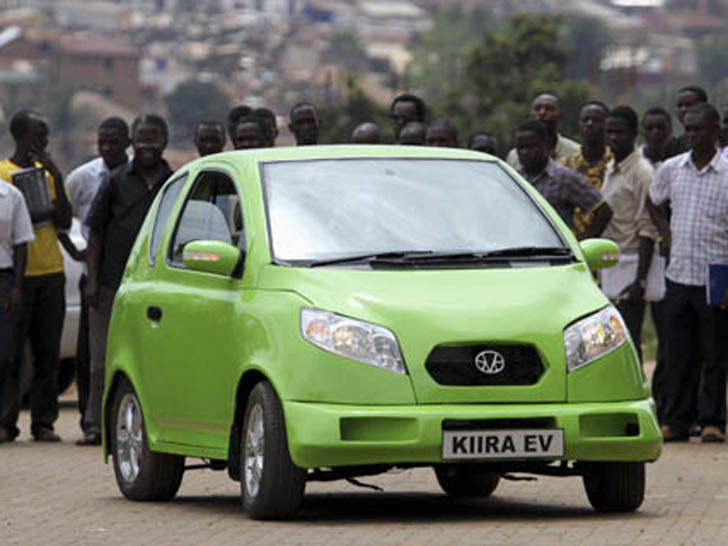 The car will be officially launched by Ugandan president Yoweri Museveni on November 18th. 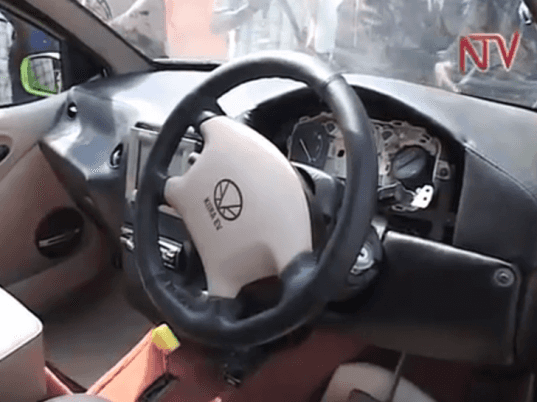 A group of 25 Ugandan students from Makerere University's College of Engineering, Art and Design have built Uganda's first electric car, the Kiira EV. The three meter long car is front wheel drive and supported by an aluminum-aloy chassis that supports up to 200 kilograms of cargo weight. It powered by a battery system of lithium-ion batteries and the controls are run by a software system. The car can reach up to 200 kilometers per hour and runs for 80 kilometers before it needs to be recharged.